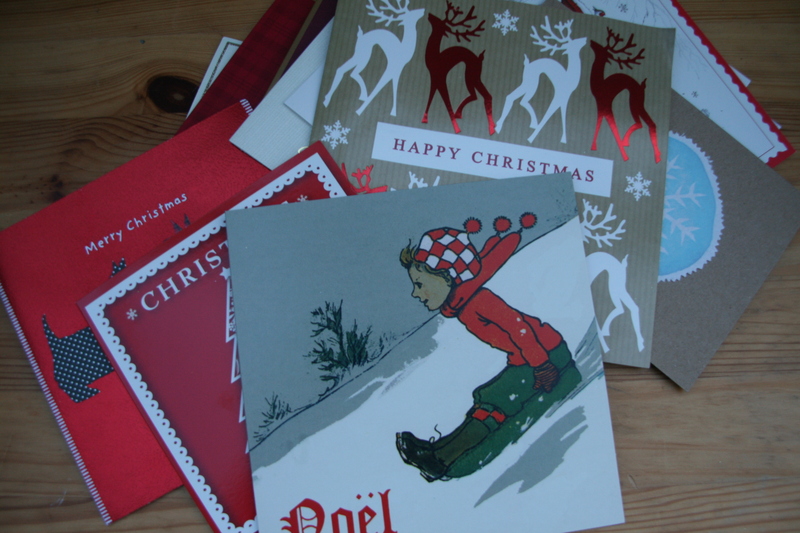 I recently posted about the challenges of trying to recycle over 160 Christmas cards. I know that I can put them in the cardboard recycling box (or at special collection boxes in supermarkets) but I wanted to create something with them. 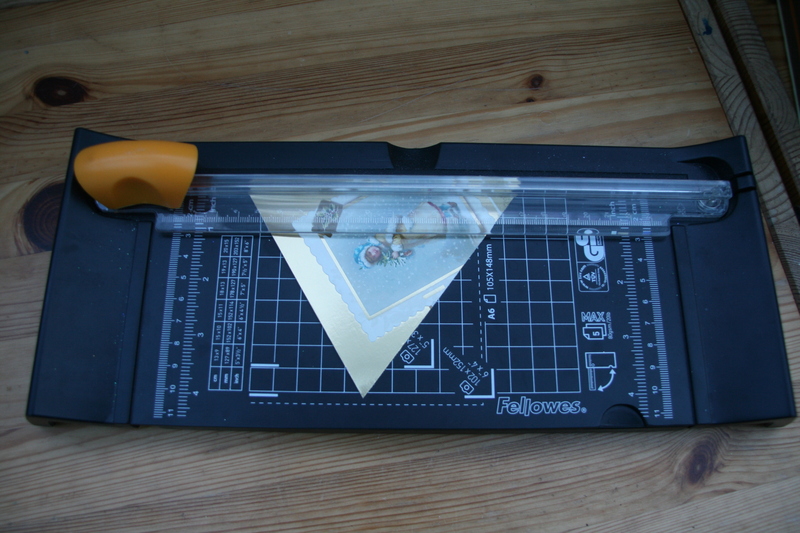 Having taken part in last Thursday’s #makedoandmendhour on Twitter and from a trawl of pinterest I picked up a few useful tips. 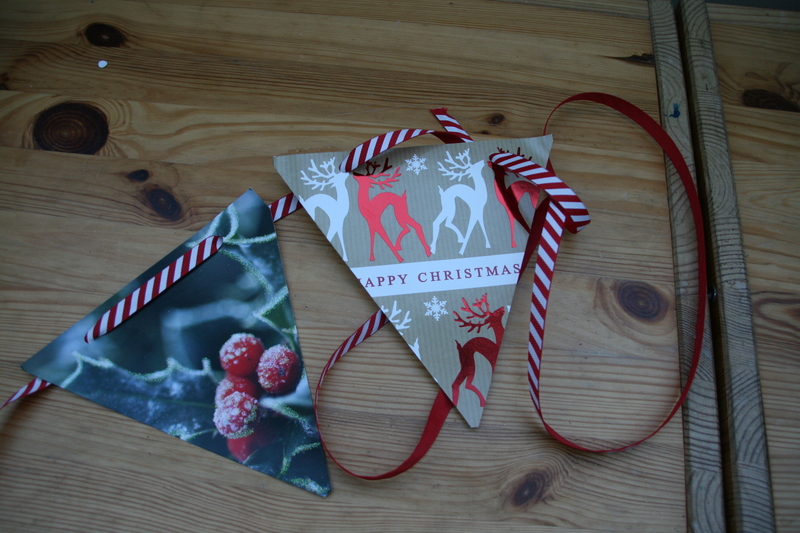 Select about 20-30 Christmas Cards of complimentary colours. 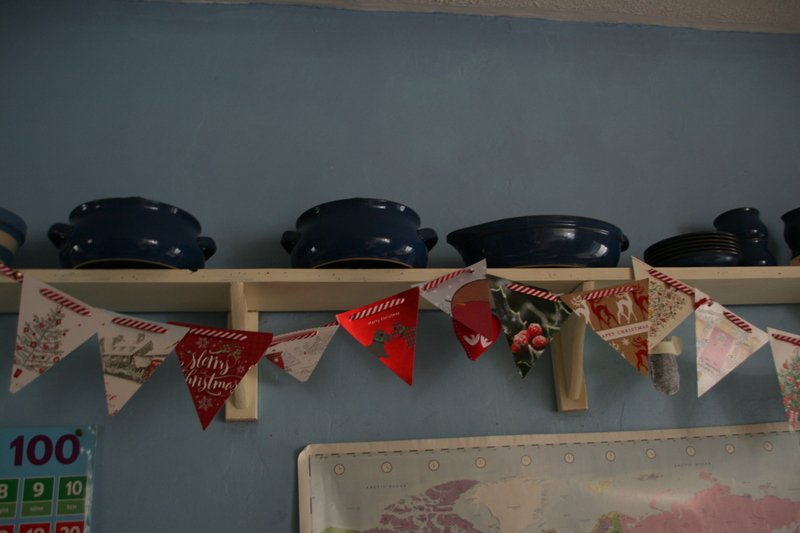 I made two piles: red & green and blue & white (if you like to ring the changes with different colour schemes every Christmas this is a cheap and green way of doing it). 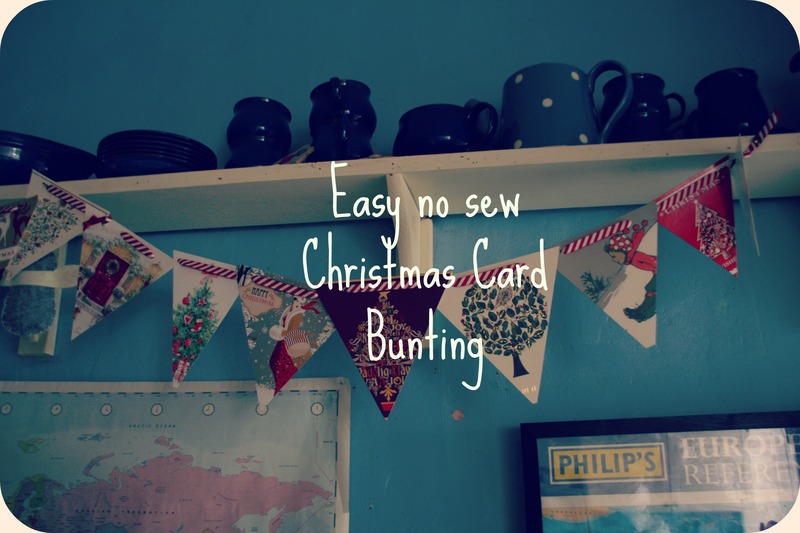 And, here we go – easy peasey no sew upcycled bunting! 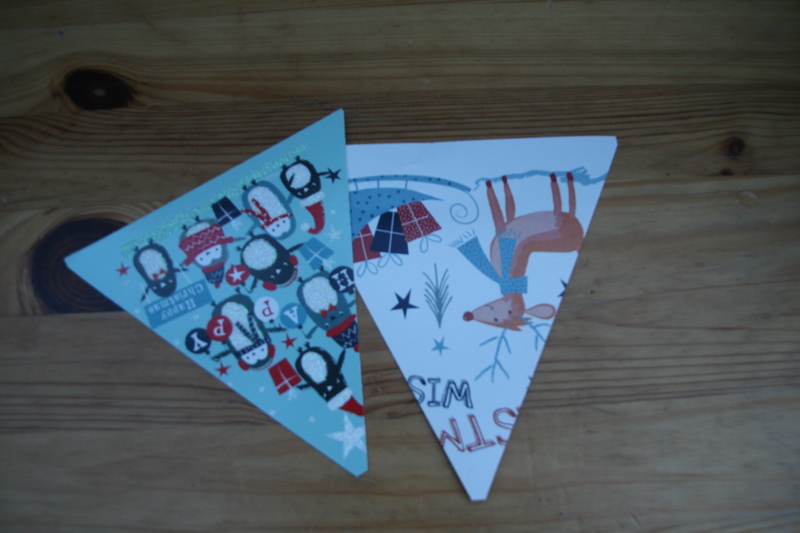 Don’t forget you could also use this for birthdays or other occasions (perhaps if you get loads of Valentine cards?!). 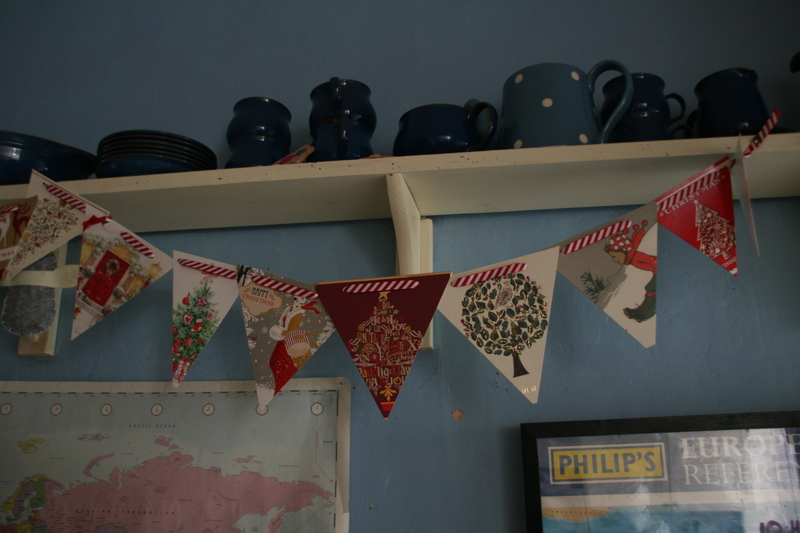 Now I will just have to remember where I’ve stored this bunting for next Christmas! Please follow me on Pinterest or Twitter if you like this!